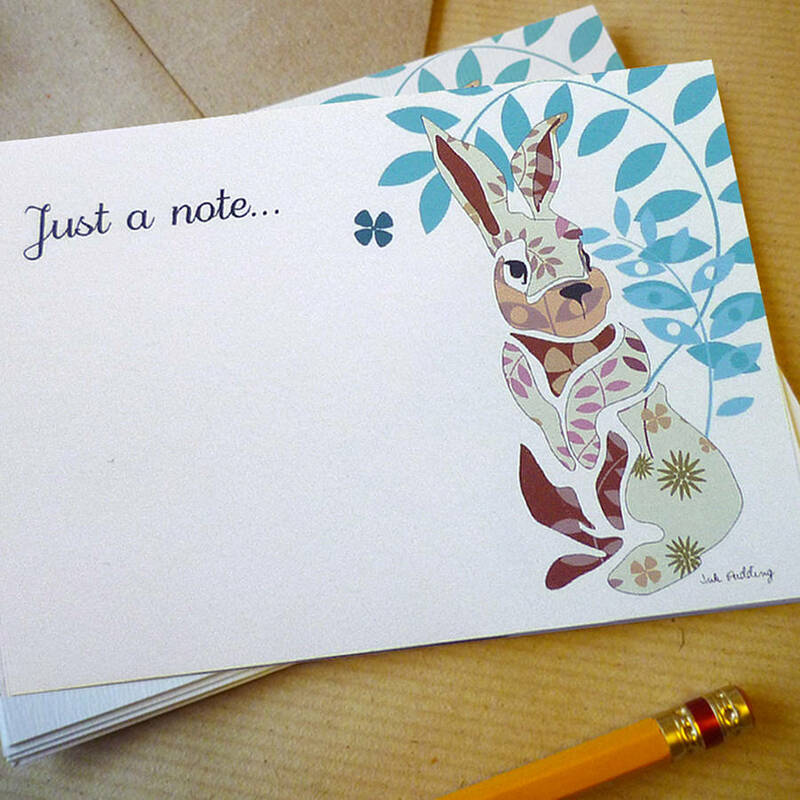 A set of 12 notecards with envelopes, featuring 4 different original bunny illustrations by Ink Pudding. 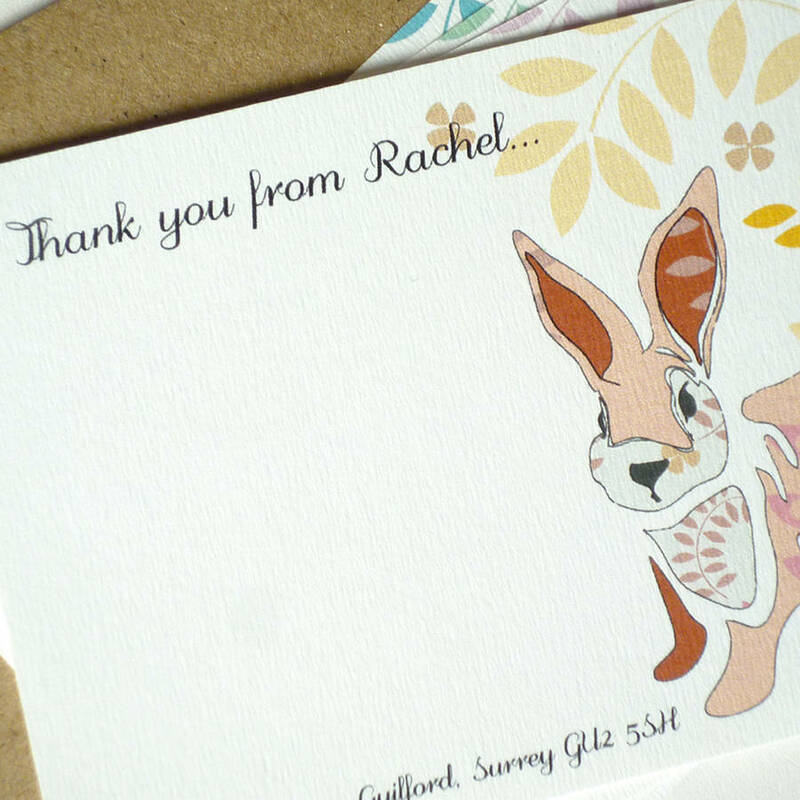 Hand finished and made to order, these bunny notecards would make lovely correspondence or thank you notes, or a fantastic gift for any stationery lover. 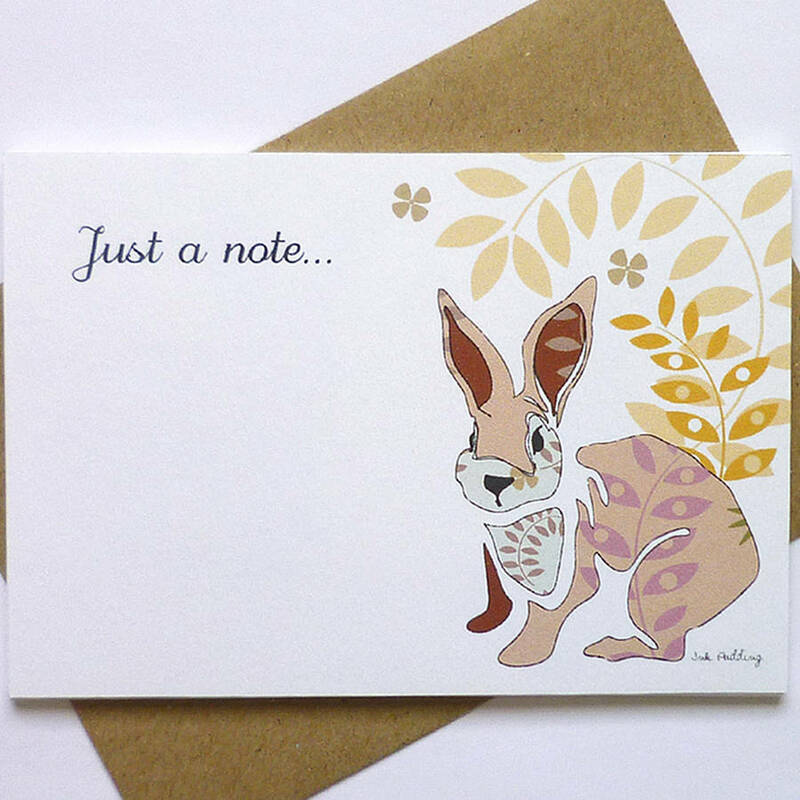 Each notecard features one of four different bunny illustrations with different colour leaf detail in the background - yellow, pink, blue or green. 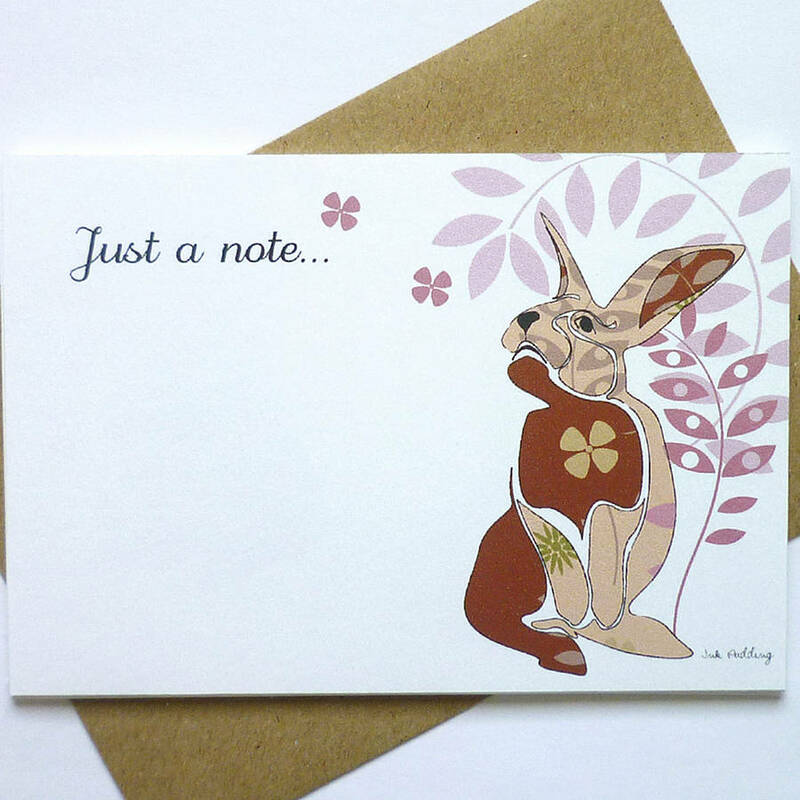 Choose from 'Just a note' or 'Thank you'. 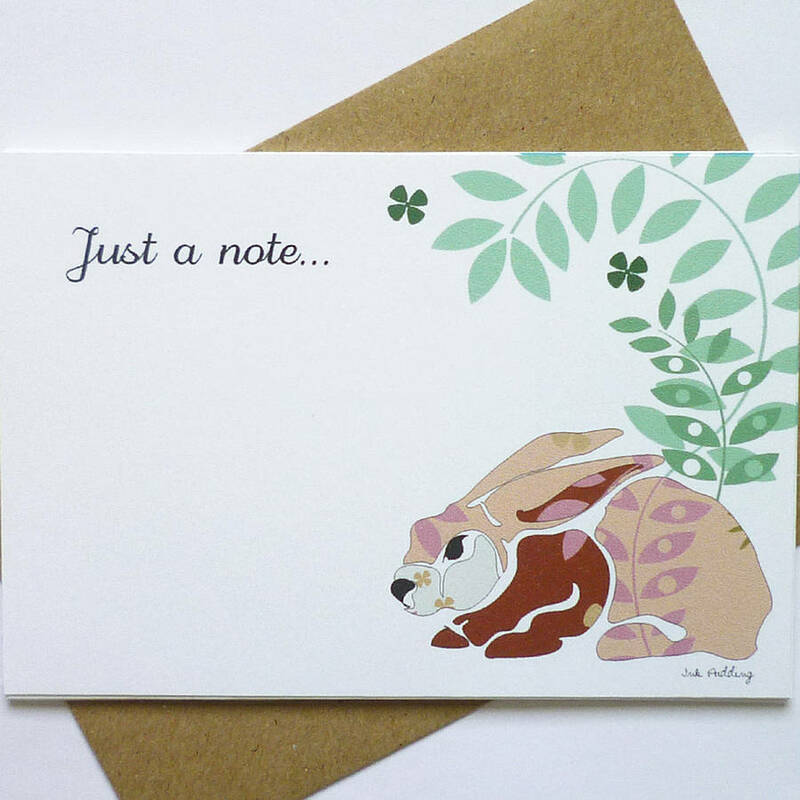 If you choose to presonalise these notecards, the text on the front will read: 'A note from [name]' or 'Thank you from [name]. 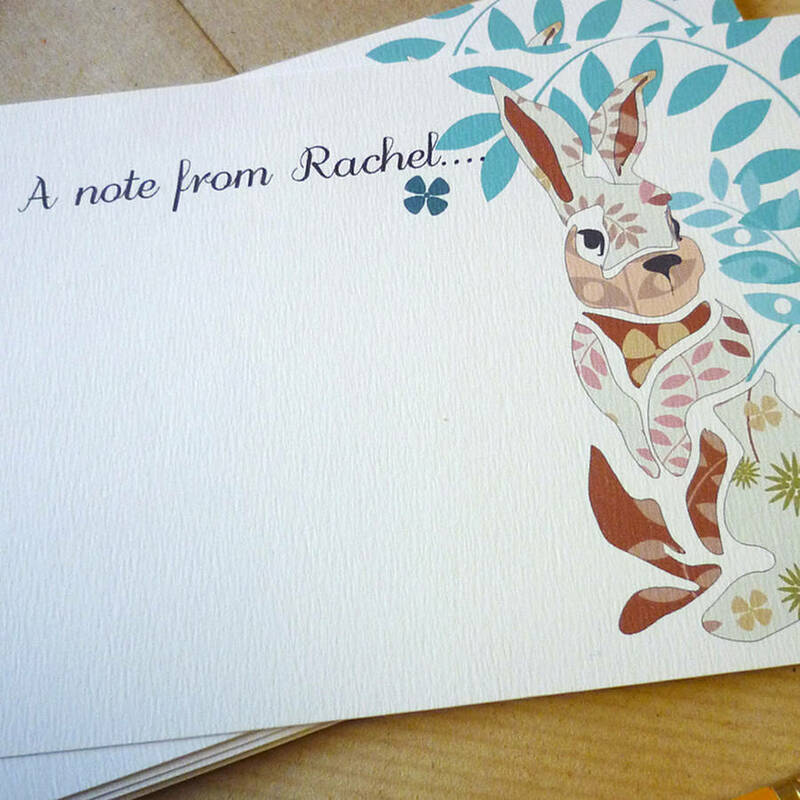 The notecards are made to order and printed on FSC certified, high quality 270gsm white textured card. 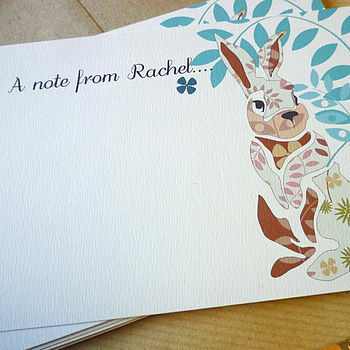 Supplied with a choice of speckled brown or white envelopes.